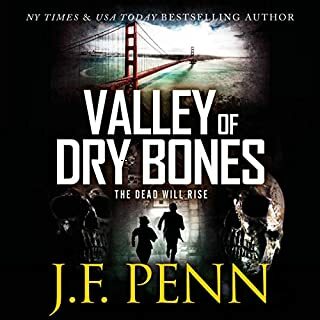 When personal tragedy strikes, Jamie has nothing left to lose and she must race against time to stop the mysterious Lyceum claiming another victim. 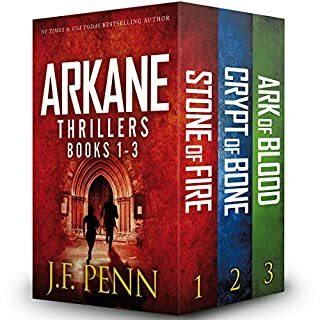 A story of vengeance and passion for justice, a dark mystery with an edge of supernatural thriller. Dennis Wheatley meets Barbara Cartland and they drag each other down. This is a truly terrible book. It has been the subject of a publicity campaign, but that doesn't make it good. It relies on cheap sensationalist gore, necrophilia and blatant heart string tugging (dead daughter anyone?) to cover for a ludicrous story line and a lack of character development. Do yourself a favour - don't buy this book. Difficult subject matter that gets more so as the story progresses but well written and enjoyable. Not a fan of the narrator but have bought book 2. A enjoyably dark yet deeply disturbing read. Yes, anyone with an interest in human nature, or at least the darker side as well as murder mysteries will thoroughly enjoy this book. What does Rosalind Ashford bring to the story that you wouldn’t experience if you had only read the book? Rosalind did a fantastic job of narration throughout the story, the underlying emotions of the characters comes across really well. The setting also feels interactive when narrated by someone who is "there". The first scene of the hospice. Came to Desecration after enjoying action and adventure of Pentecost. What I found was far darker story, but one that if anything is even stronger, characters more complex (befitting the tone and subject matter). I'm already looking forward to the next in the series. One of the worst books I've ever had the misfortune to encounter. It starts well, which makes the middle and end unforgivable. From a start where I engaged with the protagonist the book rapidly sinks into an effort to shock, missing its aim by a mile. An attempt at eroticism also bombs. Don't waste your time on this folks, I've had more depth of emotion from a cornflakes packet. I rarely review a book and only do so now to save other readers wasting their time. Where does Desecration rank among all the audiobooks you’ve listened to so far? It is number 2 on my list of top audiobooks. Blake Daniel was fantastic. A tortured man with a beautiful soul, running away from his calling in life. I laughed out loud at his dry sense of humour and cannot wait to see him appear in more of J. F. Penn's fantastic novels. Rosalind Ashford brought the characters to life through accent and pulling me into the story. Her way of connecting with the characters was fascinating and I could hear the raw emotion in her voice as she read chapter 14. That was one of the best chapters in the book! I laughed at Blake Daniel's dry sense of humour and I cried, sobbed actually while sitting on the train home from work as I listened to chapter 14. I don't want to give what happens away but this was such a profound and deeply moving part of J. F. Penn's work. Lastly, I blanched quite a bit at the desecration and felt angry with the nasty inhumane characters. I wanted to help Jamie get out of danger and see her bring them to justice for the horrific crimes they committed. 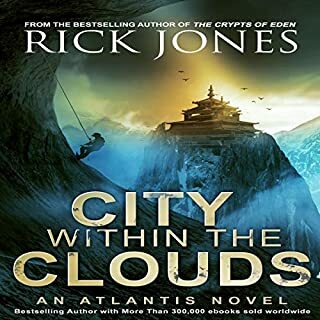 I absolutely loved this audiobook and found that I literally could not stop listening. 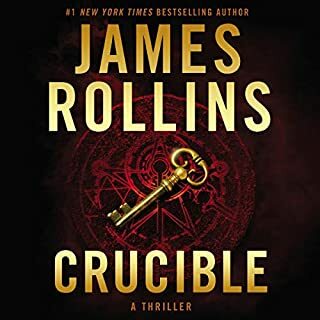 I was pulled into Jamie's world and as confronting as some of the events were in the story, I loved her and her gritty determination.This would have been a fantastic read, but the audiobook brings this story to life in a vivid way. 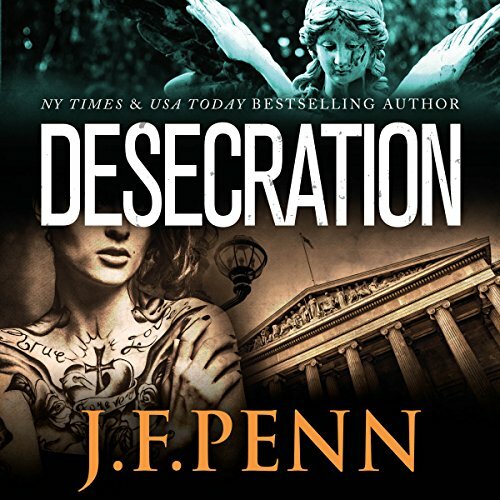 Desecration is a story set in London during the present day. DS Jaime Brook is on the case of a murdered woman who had great bodily damage done to her. As this is going on, Brook is also dealing with the illness of a family member. We see Brook as she is trying to keep these two lives separate. In the course of investigation, Brook is drawn into a world that is on the edge. Rosalind Ashford gives a wonderful performance. She gives each character is own voice and it is her narration, along with the author's words, that keeps you on the edge of your seat. I would highly recommend this book to my friends who want a well paced murder mystery with a twist. I look forward to listening to more books in this series along with other books Ms. Ashford narrates. Good book that grabs hold and makes you finish it. If you could sum up Desecration in three words, what would they be? What was one of the most memorable moments of Desecration? When Jamie's supernatural partner relates the story of his father's cruelty. The telling is vivid and nuanced and sets up a very interesting character. Have you listened to any of Rosalind Ashford’s other performances before? How does this one compare? I have not but I did find her voice to be very pleasureful. Rosalind's voice is ethereal. Her reading of the material is great and it seems like she conveyed the feelings the author was going for. No, but I downed the books in two sittings. It picks up at chapter eight mightily and goes pretty fast from there on. I am not Sarah. I am her husband Steve who signed into the wrong account when downloading and had to use her account for the review. terminally ill daughter Polly. I think the subject is broached about donating her body for study in the field of genetics but she deems it out of the question and wants to honor her daughter's wishes. The murder investigation of the heiress Jenna is overshadowed by her family's pharmaceutical company and everywhere she turns is a 'dead' end. They find a clue in the form of an ivory anatomical Venus which sends them down a macabre path into the art of body modification and modeling. This was a well thought out story with great twists. It was somewhat dark which I loved and it was eye-opening into the underground meddling in genetics and vivisection. I'm now a fan of J.F. Penn. 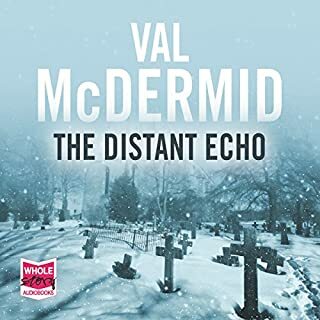 Rosalind Ashford did a fantastic job narrating this audiobook. Her voice was perfect with the right inflections and a good steady pace. She made the story enjoyable. I almost listened to the whole audiobook in one sitting. I would recomend this to my friends. 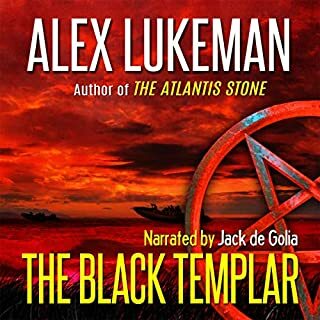 I received this audiobook foc in exchange for an unbiased review. Listening to this tale made my travel time pass quickly. It moved well and I couldn't wait to get to the next scene. I found the subject matter unique. I can't wait for the next mystery for Jamie to solve. I really enjoyed this book. It is a thriller with a twist. I would recommended it to anybody who enjoys police procedurals. The characters are very well developed and original. The action takes place in modern day London. There is plenty of dark, morbid elements that are essential to the plot so make sure you have a good stomach. What other book might you compare Desecration to and why? This book is very much representative of its genre. It is a well put together police procedural, with a detective who has personal problems. It moves at a good clip and has a satisfying conclusion so in that way it is like plenty of books I have read. The originality is in the context within which the action takes place; there is even a bit of the paranormal thrown in. This was a great performance by Ms. Ashford. I believe she was able to add to the richness of the characters. Yes, I would have liked to listen to this book all in one sitting. Actually I finished it pretty quickly. I was not a fan of thrillers. Honestly I had never even read one. So I didn't really know what to expect. However, I had been a follower of the author and her podcast and was curious to check out her work. My opinion? It was good! Gruesome and revolting at times but good. If you can't handle hearing about decaying flesh and deformed cadavers floating in specimen jars... well then you might want to pass. But if you think you can handle that and are one that enjoys an almost procedural style story filled with mystery, murder, and a touch of romance then definitely check this out. You'll be revolted and yet you won't want to stop! Kudos to J.F. Penn for weaving an excellent tale! Not much in this book that doesn't ring as true possible reality. Ask most nurses. Or cops. Whether it is the suffering of a parent facing a child's inevitable prolonged death, or the things that people do to their own bodies, or the questionable things that some categorize as art. Is the insanity of the villain any worse than that of Dahmer? Are the delusions of pharmaceutical and genetic engineering companies any less true in reality than in this work of fiction ? I have viewed the Plastination exhibits, and they have extensive documentation of permission from the individuals and/or their families to use the bodies in question. And any empathetic person can relate to the PTSD of the historian burdened with psychometry as well as a personal history of parental religious abuse. The publisher's summary will give the hints needed regarding the plot, and no spoilers desired. The plot moves along well, and the imagery is too good. Excellent character development. Rosalind is a great choice for narrator and gives an excellent performance and adds much to the value of this novel. Would you listen to Desecration again? Why? My favorite was Lady Neville, Rosalind Ashford made her sound extremely evil.